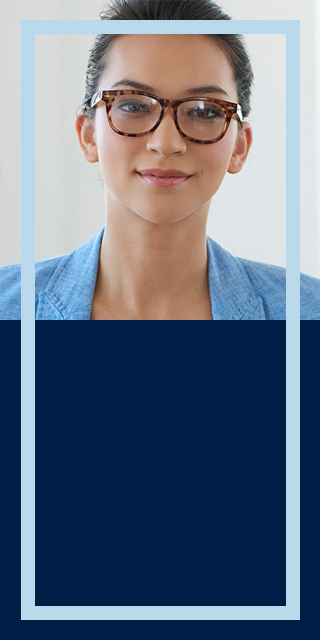 We have compiled a variety of clinical studies that you can receive upon request. These studies provide key evidence regarding the efficacy of therapies, pumps, CGM and more. Use the filters to quickly find the information you need. Bergenstal RM et al. N Engl J Med 2010; 363:311-320. 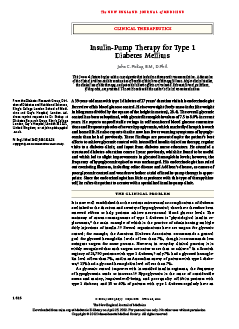 1 year, multicentre, randomised control trial with 485 patients to determine the effectiveness of insulin pump therapy compared to multiple daily injections. 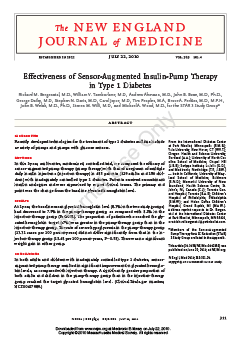 In the sensor augmented pump therapy group, A1C values fell rapidly from baseline to 3 months and remained lower than levels in the multiple daily injections group for the rest of the study in both the adult and paediatric groups. 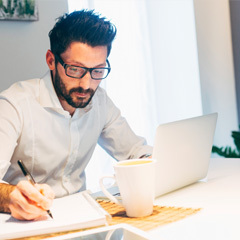 Due to copyright restrictions, you cannot download these papers from the site, however if you 'request a paper' and complete the form, we will source the paper and send it to you. Reznik et al. The Lancet. 2014. DOI 10.1016/S0140-6736(14)61037-02. Multicentre, randomised controlled trial of people (331 participants) with Type 2 diabetes not currently meeting glycated haemoglobin targets comparing the efficacy of pump treatment and multiple daily injections for lowering glucose. 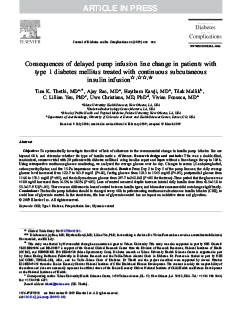 At 6 months, mean glycated haemoglobin had decreased by 1·1% in the pump treatment group and 0·4% in the multiple daily injection group, resulting in a between-group treatment difference of –0·7%. 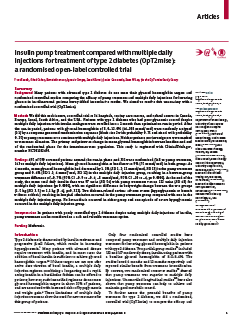 At the end of the study, the mean total daily insulin dose was 97 units with pump treatment versus 122 units for multiple daily injections, with no significant difference in bodyweight change between the two groups. Pickup and Phil. N Engl J Med 2012; 366:1616-1624. Overview of how pumps work, how to best initiate pumps etc. Steineck, I et al. BMJ 2015;350:h3234. 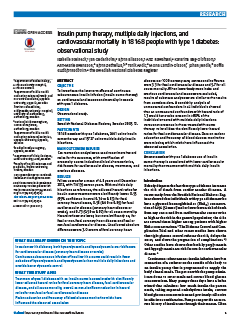 A observational study of 18,168 people with Type 1 diabetes investigating the long term effects of insulin pump therapy on cardiovascular diseaes and mortality. Thethi et al. J Diabetes Complications. 2010 Mar-Apr;24(2):73-8. 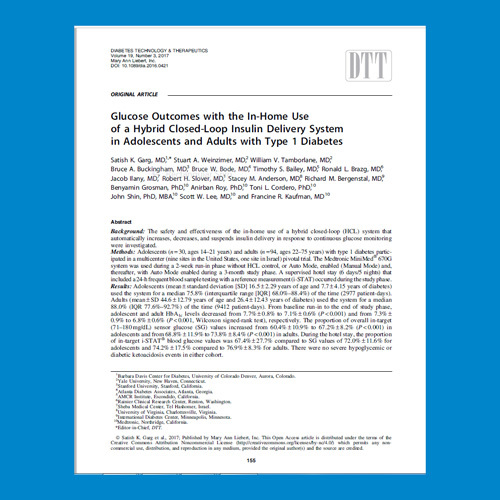 A randomised crossover trial with 20 patients with Type 1 diabetes to investigate the lack of adherence to the recommended change in insulin pump infusion line use beyond 48h. From Day 2 to Day 5 of the pump line use, the daily average glucose level increased from 122.7 to 163.9 mg/dl, fasting glucose from 120.3 to 154.5 mg/dl, postprandial glucose from 114.6 to 172.1 mg/dl, and the daily maximum glucose from 207.7 to 242.8 dl. Time period that the glucose was N180 mg/dl increased from 14.5% to 38.3% (Pb.05). Loss of control occurred despite increase in total daily insulin dose from 48.5±11.8 to 55.3±17.9 U. 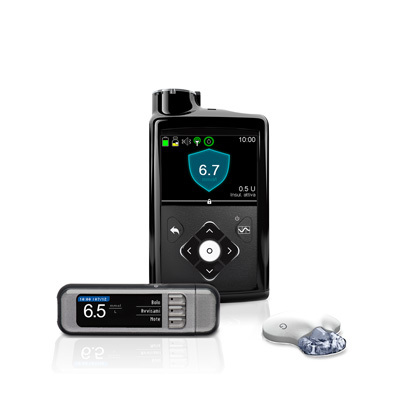 Discover better diabetes control for your patients. 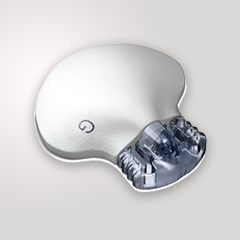 CGM technology enables your patients to monitor their glucose levels 24/7. Register your interest to receive access to learning modules.